We’re beginning to get used to the Tesla Model S, a large luxury car that happens to do without an engine. Instead there’s an electric motor or two and a huge slab of batteries hidden away underneath. The US company has tried to minimise the issue of range anxiety through a clever mix of technology and simply adding more batteries, with the result being that the entry-level ‘75’ can manage 230 or so miles of motorway cruising without an issue. This, however, is the P100D version, Tesla’s boosted behemoth that will extend that to an easy 300 miles. Officially it’ll stretch to 381 miles, but the real world is very different from lab testing, and the indicated range of 275 miles over a week of motorway driving, cross-country runs and what should probably be described as performance analysis seems pretty realistic. It will certainly be possible to do better with some careful driving, but Tesla has made sensible driving very difficult in this model, thanks to a menu option on the central touchscreen labelled ‘Ludicrous Plus’. Activate this and the Model S takes on supercar hassling levels of performance. It’s not just quick, but quick in a neck-snapping and face-bending kind of way. It’s the closest sensation to being a fighter pilot that most people will get. The Ferrari F12tdf, a £340,000 car that Ferrari says provides ‘track level performance on the road’ takes just 2.9 seconds to get from stationary to 62mph. The five-seater Model S does the same in about 2.5 seconds. There is no faster accelerating car on sale. The Tesla takes any preconceptions about electric motoring and banishes them as it sets about rewriting the laws of physics. Out on the roads of Cambridgeshire, the torque offered by the twin electric motors means that any gap is accessible. Changing to a faster moving lane on the M11 takes nothing more than a twitch of a toe as the car launches forwards. It’s difficult to describe just how instant and accessible the power is, all the time, on every road. In a big petrol or diesel engined car, things could get tiring. Constantly changing gear (or waiting for an automatic gearbox to do it for you) and then waiting for the turbo to spool up and provide power leaves things progressing in an unorderly fashion. With the Model S it’s all linear and near silent. Relaxation is easy. That’s made easier thanks to some fine seats, clad in the softest of leather on this test model. A huge centrally mounted touchscreen dominates the interior, looking like a giant iPad has been stuck over where any buttons should be. This operates literally everything in the car, from raising the air suspension to get over large bumps (the car remembers where that was and will raise it automatically the next time) to streaming music over Spotify or even browsing the internet. Disappointingly, that’s not locked while the car is in motion, leaving room for significant distraction. Also disappointing is some of the build quality. The door trims move around, wobbling when the door is slammed shut, while chrome strips on the exterior of the car weren’t even close to lining up. Some of the plastics in use feel cheap and nasty too, especially the central storage bins and cupholders that wouldn’t look out of place on a 80s Renault. Creaks and moans from the car, both inside and out, were frustrating, too. 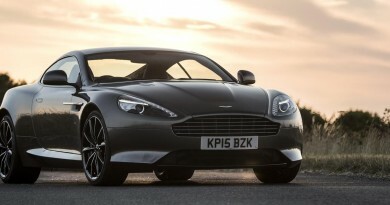 Even in a technology led car like this, it’s not good enough, especially when the price tag is north of £130,000. Half way through my time with the car, Autonomous Emergency Braking was added overnight. That does get the most advanced electric vehicle money can buy though, and one that will show a clean pair of exhaust pipes (if it had any) to literally any other car on sale. 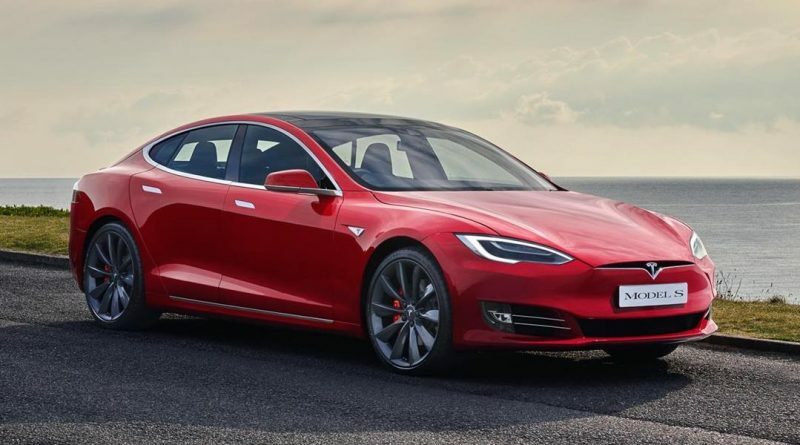 It also brings with it the promise of continuous developments – overnight a software update provided this test car with emergency autonomous braking, an extra safety feature that wasn’t available previously on Teslas. Updates like that aren’t something that would be seen happening on a Mercedes or BMW. Finally, to ease range anxiety issues a Tesla also comes with access to a so-called Supercharger network. These are dotted around the country, mostly at motorway service areas, and will fill the car from empty to 170 miles of range in half an hour, making even pan-European journeys a real possibility, although there’s a charge to charge after around 1,000 miles of topping up. A home charger will cover most needs, with an overnight plug-in being more than enough to keep the car fully energised, although Tesla charges an additional £398 for the unit. It’s possible to keep adding options to the Model S until the figures are laughably high. Fully kitted out, the test model driven here costs more than £150,000, but even at £130,000 it’s difficult to recommend the P100D spec. 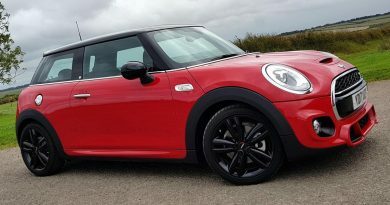 Sacrificing about 2.7 seconds worth of performance saves £41,800 and gets the 100D (no ‘P’) model, and also gains a marginally increased range. That’s the smart choice, no matter how intoxicating the ludicrously expensive but ludicrously performing top model is. * Monthly PCP estimate based on 20% deposit, 36 month term, 5% APR, final payment of 36%.